It was hot and muggy, but I heaped one more spoonful of the spicy salsa on my taco. 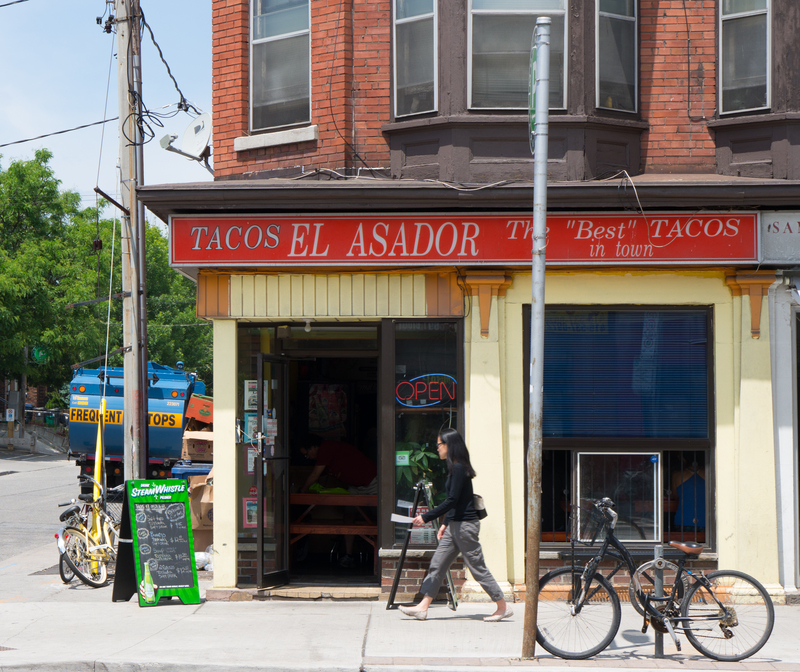 I wiped the sweat from my forehead with a paper napkin, took another swigg of Sol, and reveled in the first hot Toronto day at Taco el Asador. When I lived on top of Ossington subway station three years ago, Korea Town was just part of my commute; quickly past Christie Pitts and nameless shops to the Annex where I spend most of my time as a student at U of T.
Now there are new boutiques, restaurants, there’s even a bulk barn for god’s sake. 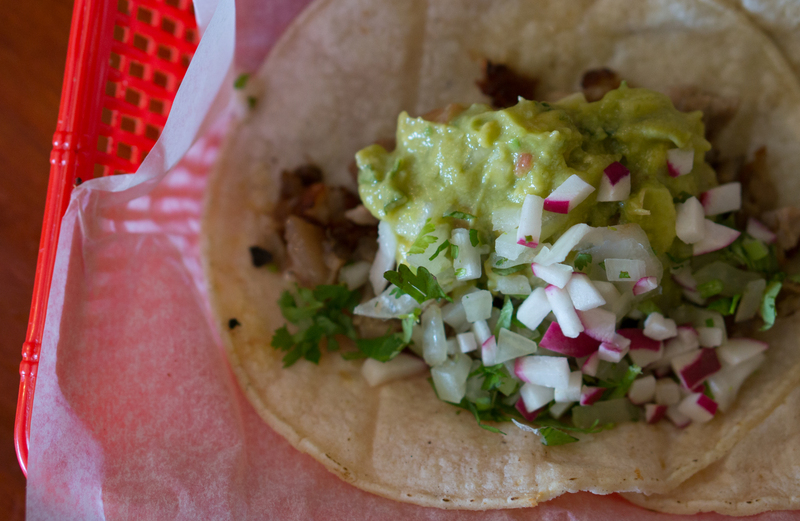 The neighbourhood has changed, but Taco el Asador has maintained their delicious status quo. Shame on me for walking by this awesome place, shame on me. 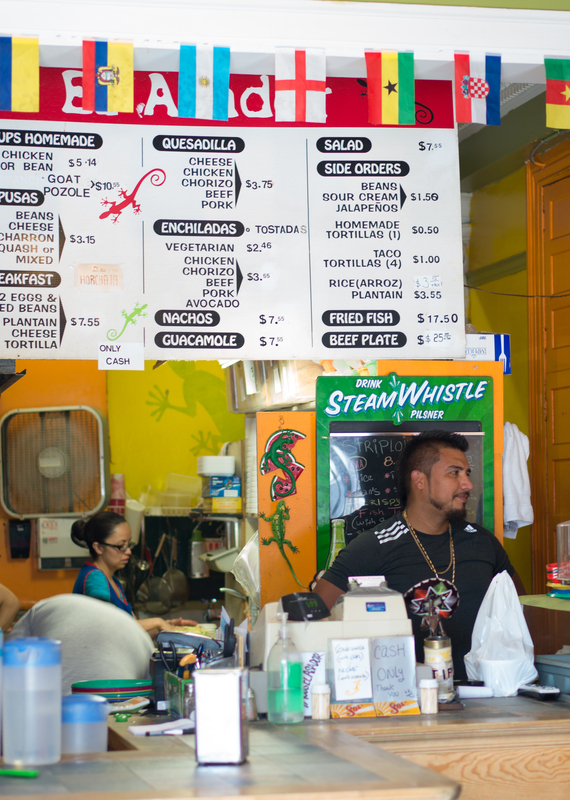 El Asador is exactly what you want a good taco joint to be — yellow and orange walls, a little South American flare, and picnic tables squashed into a tiny 20-seat restaurant serving awesome food. 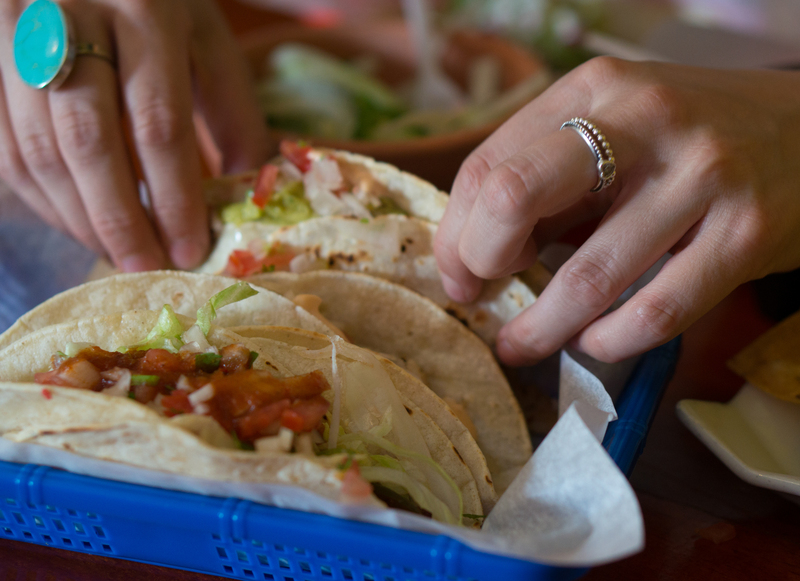 No pretense, just tacos. I had met up with my friend Krista for lunch and we were lucky to get a table, even though it was 1pm on a Monday afternoon. 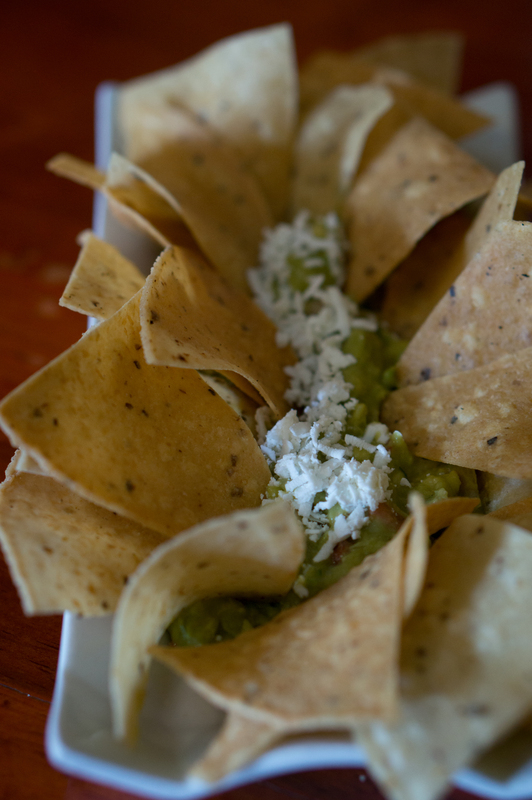 To start off our little fiesta, we shared the guacamole ($7.55). Five minutes later our fish tacos showed up ($3.55 each). Then I had a carnitas and Krista had the chorizo. The food is easygoing, easy to eat and cheap — the meal only cost us around $35 and we both had a beer! What else do you need? We sat there for awhile after the lunch rush, catching eachother up. I was sweaty and full, and I feel at home in Toronto again. Love Tacos el Asador! One of my favourite places in Toronto and a must visit every time I get back there. I’ll be adding this to my Toronto list for my next visit! I’ve been eating all the fish tacos in Halifax and none of them look as good as these ones. 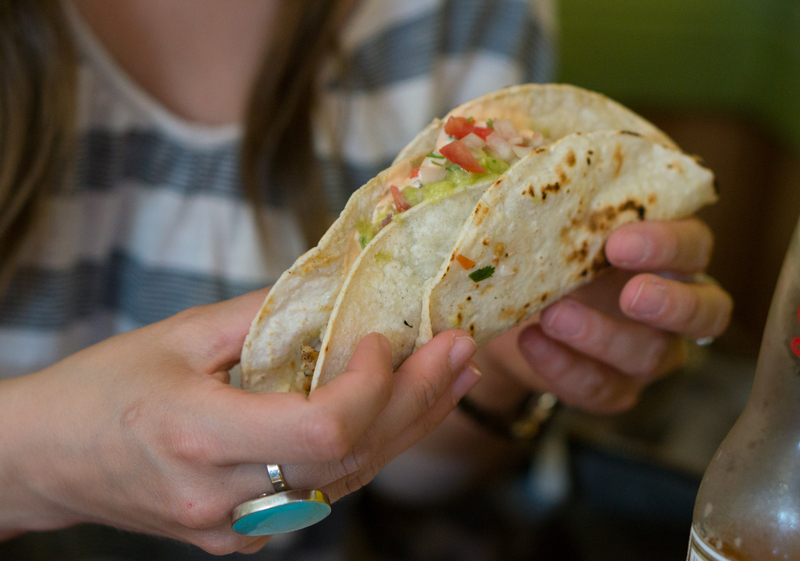 Life is tough when you just can’t find a good taco!